This is one of my earliest memories of summer. The whole family would gather in the yard, my dad would steam the crabs. The boys and men would play horseshoes while the women would catch up on the latest gossip. The pesky little brother is chasing the girls with a live crab. 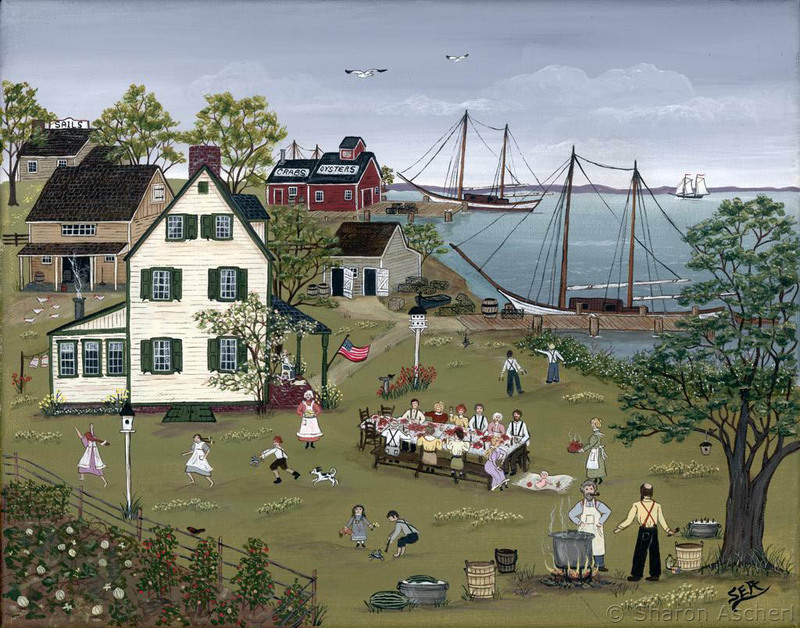 This painting is featured in the 2009 AARP calender.